Bedbug free so far? Learn to prevent bed bugs so you stay that way! Find out how to avoid them, what to do if you are exposed, and how to safeguard your home right here. This is the main page of the bed bug prevention section. For a basic primer, the ABCs of bed bug prevention is a good place to start. Bed bugs are equal-opportunity pests. They spread by hitching a ride on clothing, luggage and furniture, among other things. Bed bugs are extremely flat and can get into (and hide in) surprising places. They do leave signs of their presence. Even if you can't avoid bed bugs - you can prevent an infestation. With these facts in mind, it's time to acquire some knowledge and some skills so you can avoid bed bugs most of the time - and prevent bed bugs from infesting your home if you do happen to come into contact with them. You must start with the right mindset. Bed bugs aren't everywhere, but they could potentially be anywhere. They don't discriminate, so you have to get rid of your assumptions of where they might be. They could be in a 5 star resort hotel or a youth hostel dormitory. They could be in that piece of furniture you picked up off of craigslist or in that brand new high-end bedroom suite you just bought. You simply have to get that into your head. If you're thinking, “there couldn't be bedbugs in that” or "a place like that wouldn't have bed bugs" - think again. This includes taking precautions to prevent bed bug exposure when you travel, making smart choices about how to handle your belongings when you're in public, and being extra careful about the items you bring into your home. The first skill you will need is the ability to identify bed bugs in all stages of their life cycle – that means eggs, nymphs (baby bed bugs) and adults. You'll also need to know how to detect the symptoms of a bed bug infestation and where to look for these signs. 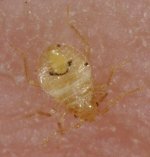 If you haven't already done it, learn the 9 symptoms of bed bug infestation, then see more pictures of the signs they leave behind. Bed bugs are very good at hiding because they are so flat and can fit into surprising places like behind outlets and in all kinds of cracks and crevices. So you need to know where they like to hide and how to find them. The bed bug detection section will teach you all you need to know. Then you will be well equipped to check your hotel rooms, and monitor your own bedroom in case you have been exposed bed bugs and didn't realize it. You CAN prevent infestation - even if you're exposed to bed bugs! What if you are exposed to bedbugs? Don't Panic! It's not the end of the world if you take steps to de-bug your stuff before you bring it into the house or when you first get home. Better yet, hopefully you will have already safeguarded your bed so you can rest (relatively) easy even if you have been exposed. By using mattress encasements (and pillow and box spring encasements) you can protect your bed and prevent bed bugs from infesting it - even if they do make it past the front door. If you do nothing else, this is the single most effective thing you can do to protect yourself. This video is shared via the Bed Bug Answers Channel on YouTube. For more videos like this one, visit the channel and don't forget to like us!